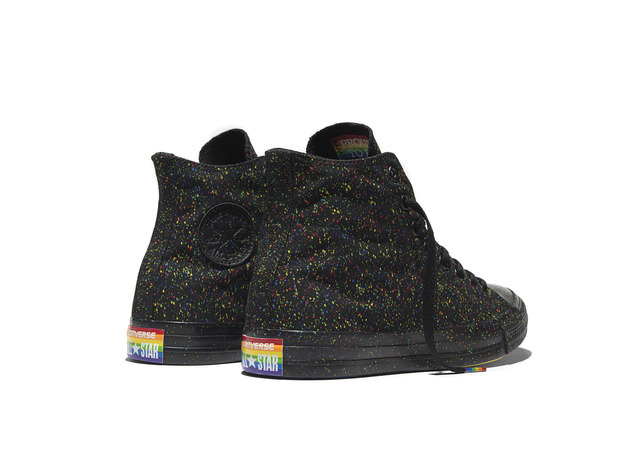 New rainbow design Chuck Taylor sneakers are inspired by the LGBTA Community's global pride movement. 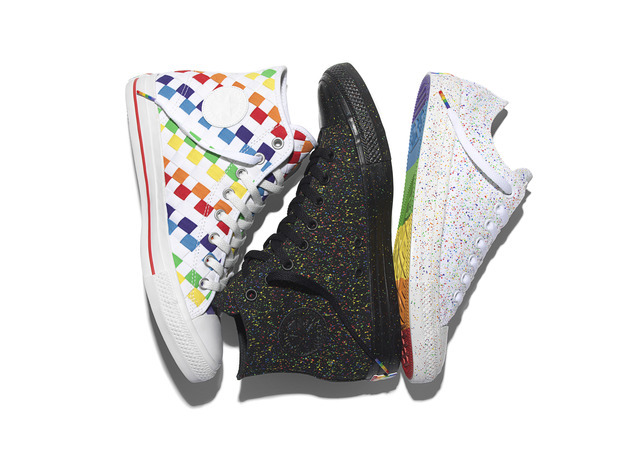 Converse proudly unveils the 2016 Converse Pride Collection – two colorful new Chuck Taylor All Star sneakers designed to be worn at pride parades, concerts, jubilations and beyond. Inspired by all the LGBTA communities around the world, the collection serves as a passionate reminder for universal tolerance, diversity and equality — encouraging the creative community to be their most authentic selves. 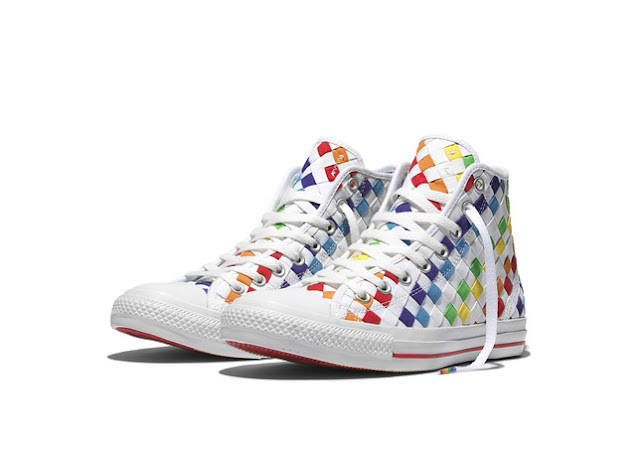 Launching this spring on the classic Converse Chuck Taylor hi and ox silhouettes, the sneakers have rainbow license plate and aglets. 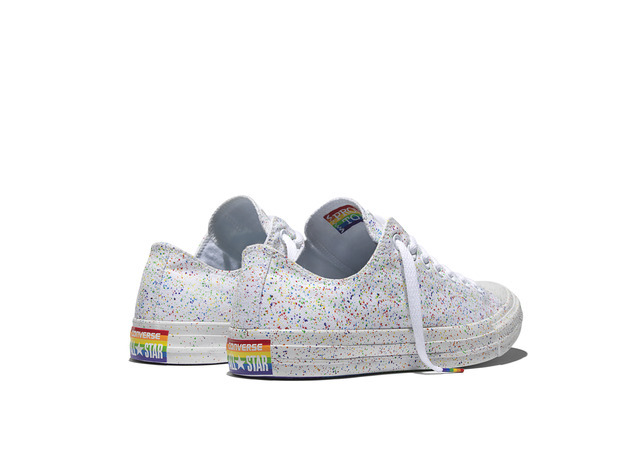 The collection will be available in both woven canvas and an all-over rainbow splattered canvas design and boldly shows Converse’s support of the global pride movement.